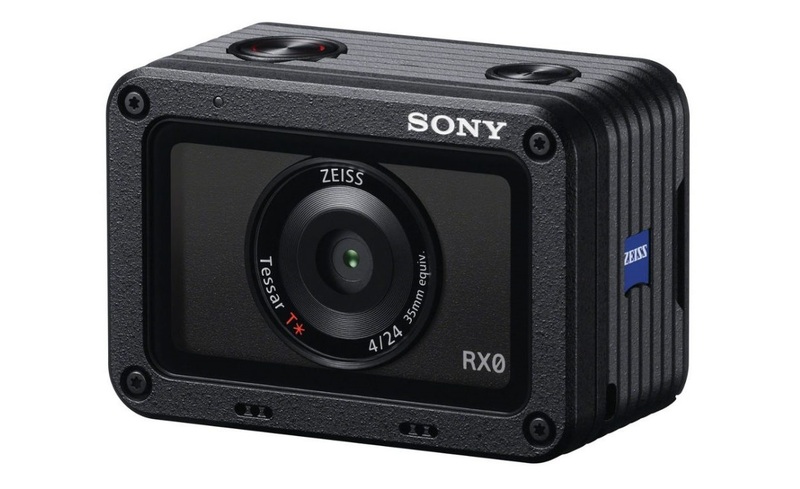 Sony Announced its new compact RX0 camera at the IFA 2017 in Berlin. It has a 1.0″-type stacked 15.3 MP Exmor RS CMOS image sensor, BIONZ X processor and a wide-angle ZEISS Tessar T 24mm F4 fixed lens to capture both RAW and JPEG stills and 4K video, full HD at 240 fps and super slow motion capture at up to 960 frames per second. It has Anti-Distortion Shutter that can shoot as fast as 1/32000 second and is waterproof at depths of up to 10 meters (33 ft) on its own, and can be used at up to 100m (330 ft) depth when paired with the new MPK-HSR1 Housing. It is also shockproof, when dropped from up to 2 meters (6.5 ft) and crushproof (1 to 200kg / 440lb / 2000N).